Walesa’s Twitter comment highlighted the threat that he saw coming from the ONR. In the UK, ONR go by the name of “Narodowa Emigracja” or ‘Nationalist Emigration’. Whilst they are limited to a Facebook group, their activist base is small and based in and around Manchester. 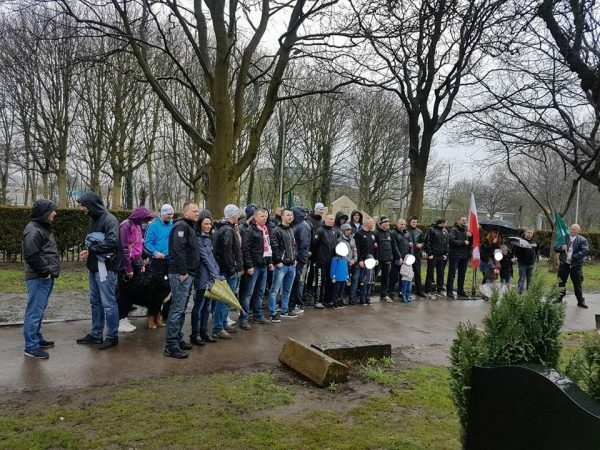 About a week ago, activists held a gathering to commemorate the Katyn massacre, the mass execution of Polish military officers by the Soviets in April 1940. 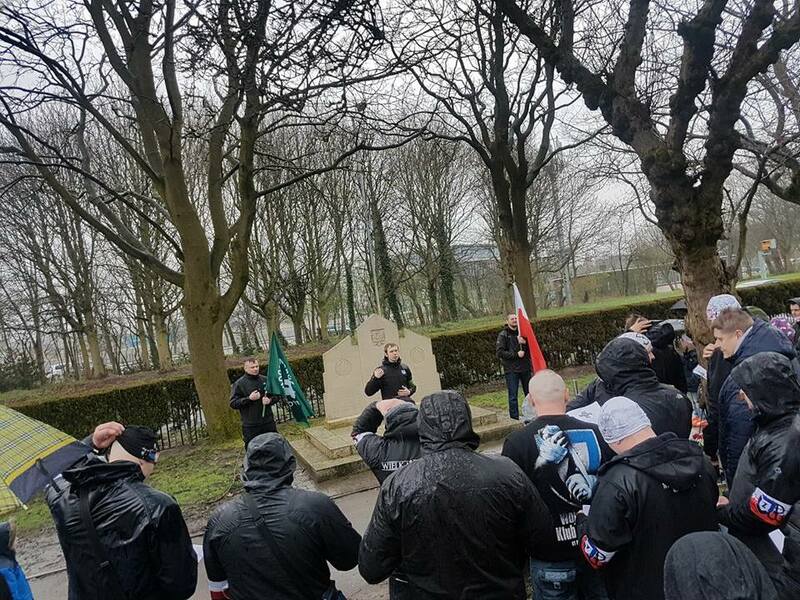 The commemoration was held at the Southern Cemetery in Manchester. What is particularly worrying is that children can be seen at this memorial meeting and there are potential safeguarding risks here. 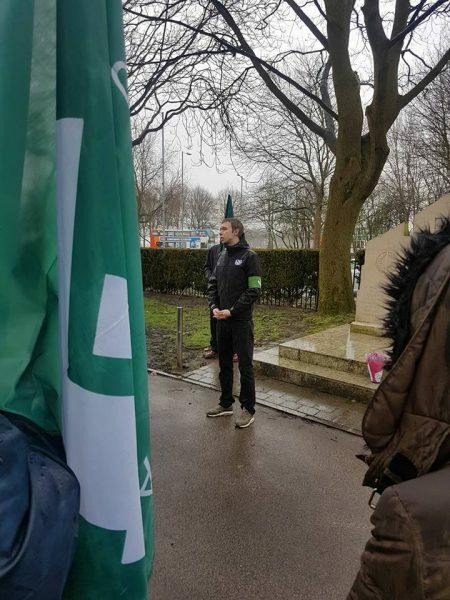 The arm-bands of ONR are clearly visible as are flags of the neo-fascist group, this in Manchester in the United Kingdom. This information will be passed onto the authorities within the UK given the potential of safeguarding risks to children.